Easter is on Sunday, April 21st. 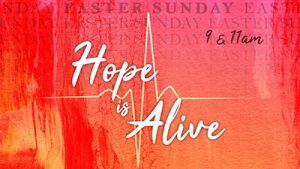 Join us as we celebrate the resurrection of our Savior with music, special performances and a powerful teaching. This will be a day you don’t want to miss.